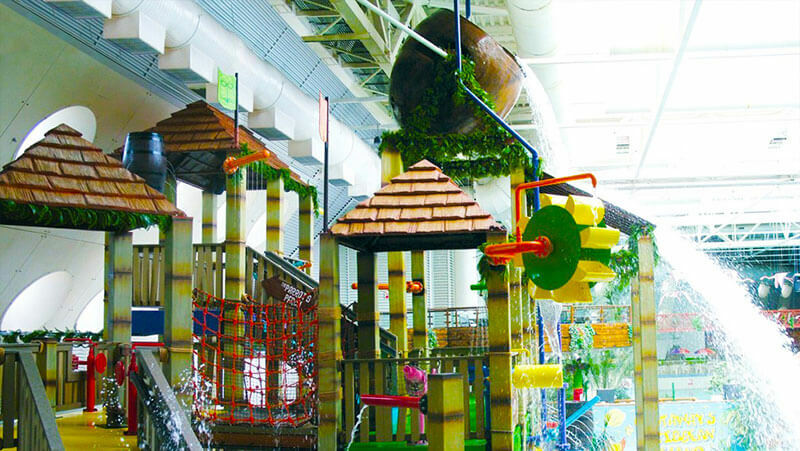 Families and younger guests will love Typhoon Lagoon wave pool, Treetops water chutes, the Caribbean Storm Treehouse, Fort Riptide and much more! 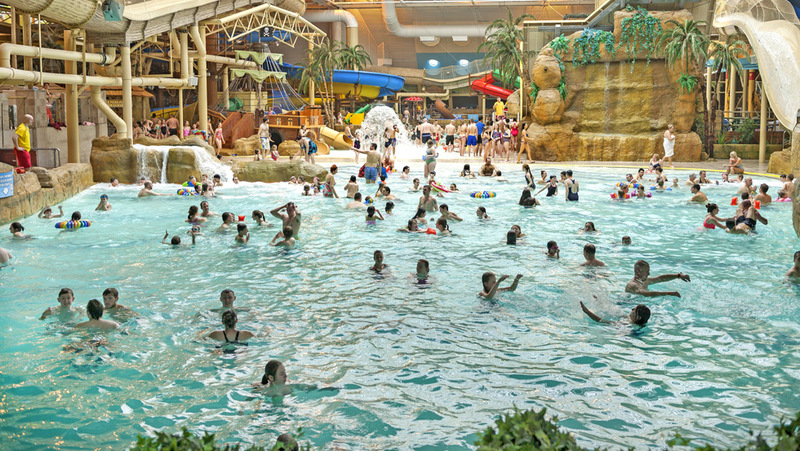 Rip roaring, wild water waves aplenty in our fantastic wave pool. 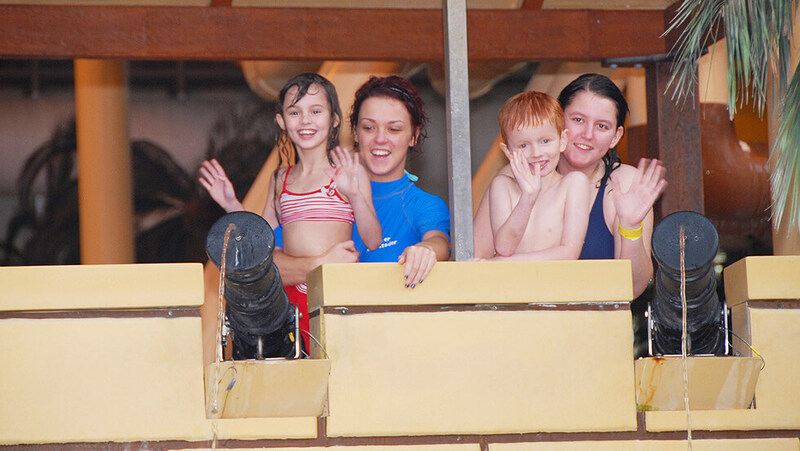 When the surfing tune sounds, head for typhoon lagoon to enjoy the wildest waves around. 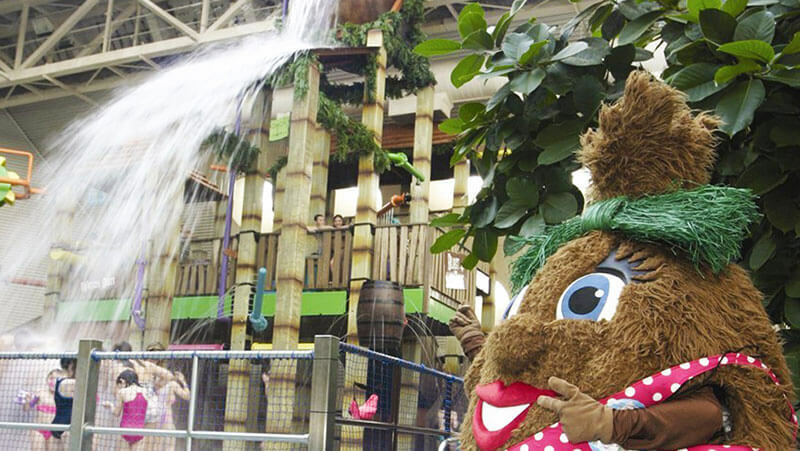 These 2 gentle giants offer more than 300 feet of twisting, turning family waterslide fun. It’s a race to the bottom – blue or yellow, take your pick – or enjoy both! Swimming ability: Individual riders must be 5 years or over and confident swimmers. 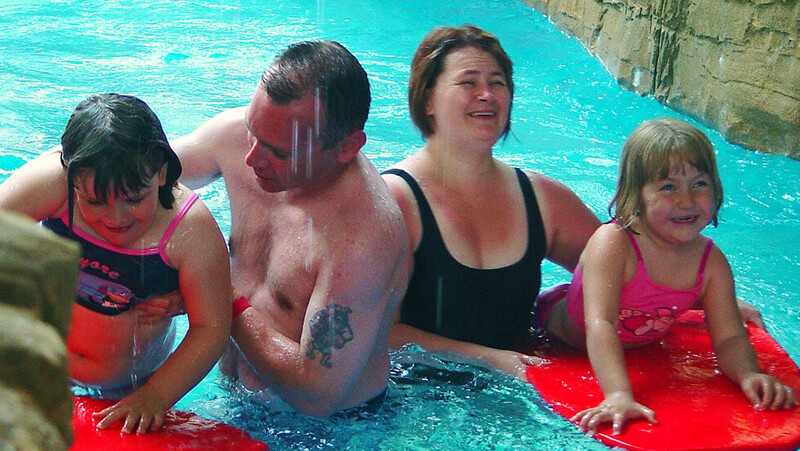 Non/weak swimmers & children under 5 must wear armbands & be accompanied by a responsible person. 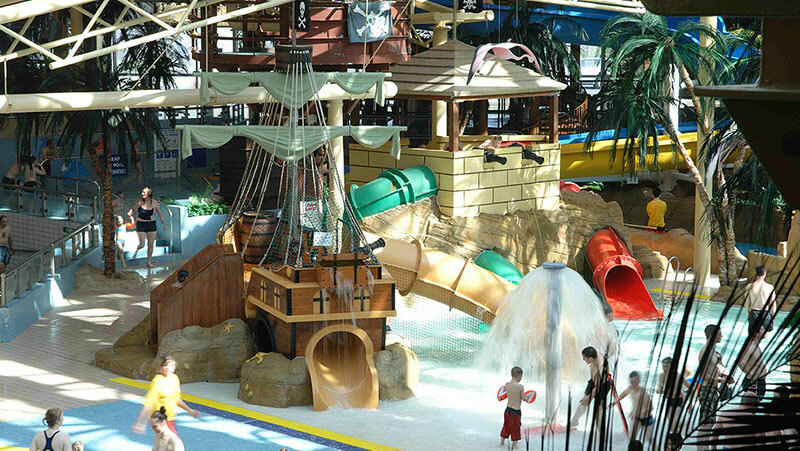 Legend believes that the wild waves from Typhoon Lagoon marooned this galleon on the shores of our Waterpark. 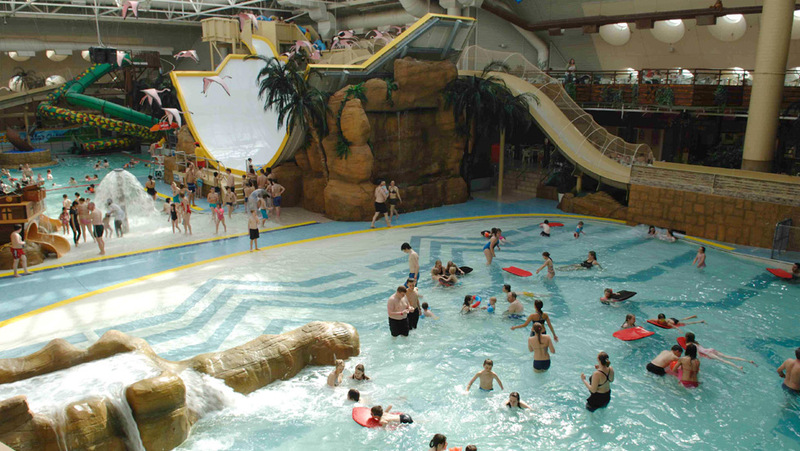 Packed with tunnels and treasure chests, slides and canons – our younger visitors will love exploring everything that HMS Thundersplash has to offer. Swimming ability: Suitable for all abilities. There’s a storm brewing and that storm sits atop our Caribbean Treehouse in our giant tipping coconut, filling up ready to create a tidal wave of water over everyone below. There’s also a whole host of interactive water play elements throughout the Treehouse waiting to be explored by our younger guests. 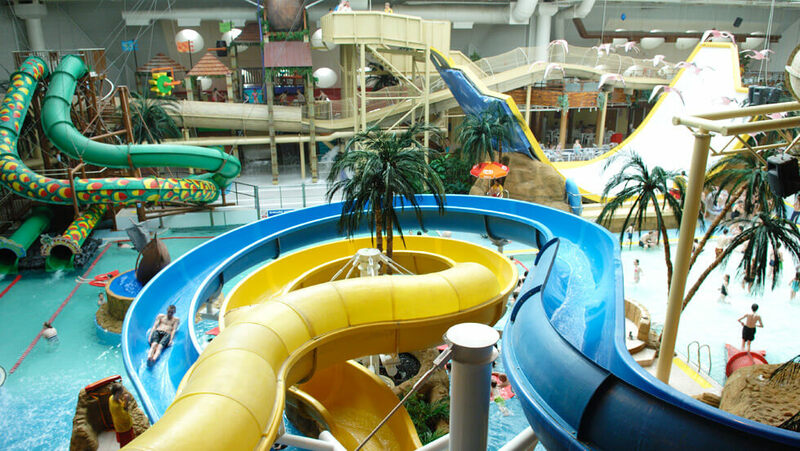 Towering over the water below, Fort Riptide is stocked to the turrets with exciting slides perfect for our younger guests. 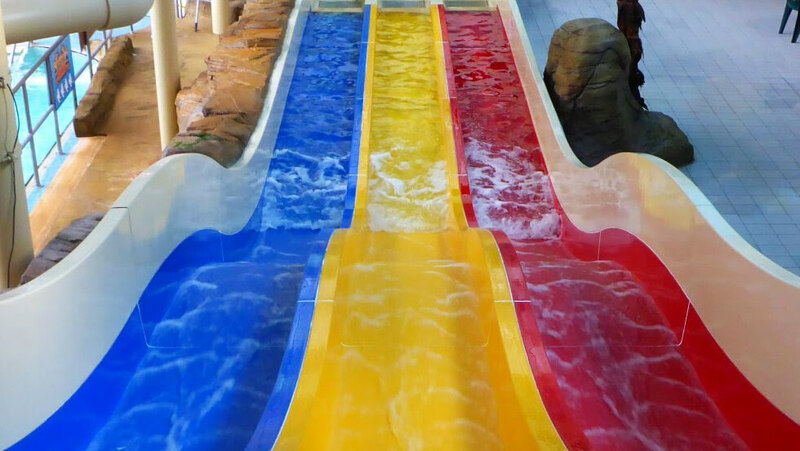 Its a race to the bottom on this exciting multi lane slide – enjoy a race with mum and dad on this great slide – perfect for families. This is no lazy river! 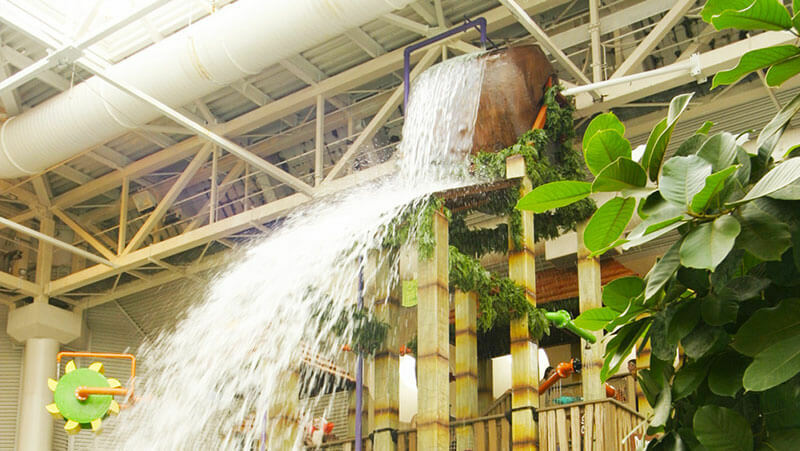 Let the flowing waters of Ushi Gushi River pull you into a journey through our action river which is full of watery surprises along the way – a real family favourite!